Facebook today activated its Dark Mode feature, which has been available as an "Easter Egg" setting since early March. According to a blog post on Facebook's Messenger site, a Dark Mode toggle is rolling out globally starting today. Dark Mode can now be enabled by tapping on your profile photo in Messenger to get to the Messenger settings where Dark Mode is now an available option. Enabling Dark Mode changes the traditional white interface in the Messenger app to black. 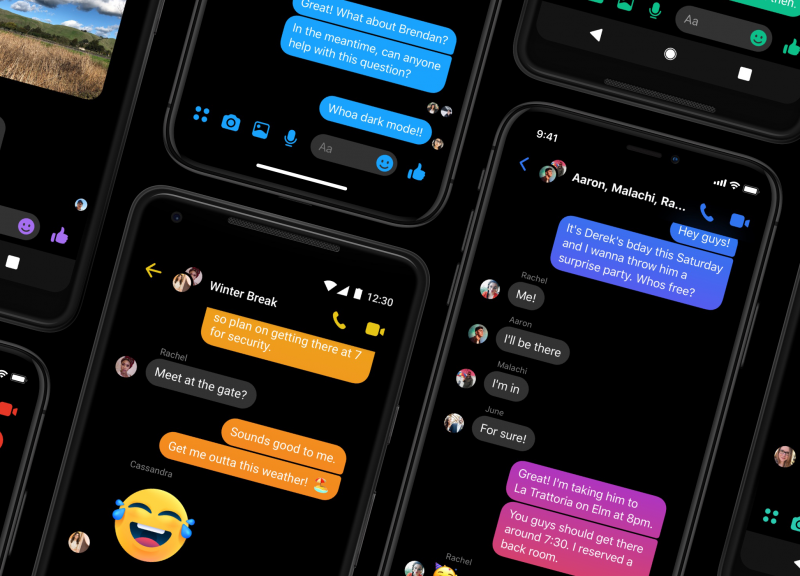 Facebook says that Dark Mode is designed to provide lower brightness in situations where lighting is lower while maintaining contrast and vibrancy. Prior to the launch of Dark Mode, it was able to be activated by sending a crescent moon emoji to someone using the Messenger app. Doing so would unlock the Dark Mode setting and allow it to be enabled. Facebook in March said the feature would eventually become an official setting. Dark Mode is still rolling out to people and so not everyone may see the toggle right away. not going to install fb, insta, messenger or anything related tofacebook. some of the worst apps you could install privacy and performance issues. I don't care what features they add to get users to install their crap. …yet you still can’t change the notification sound. Big deal. Telegram is much better. It can automatically change to dark mode in the... you know... when it’s dark (later at night).